Lost your Android Phone or Forget it at home, no worries now you can access you android mobile remotely using a SMS. 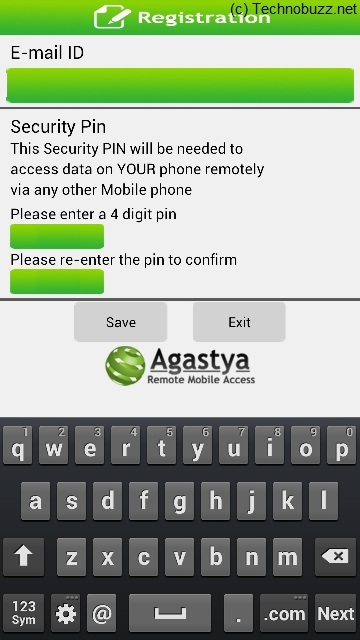 Yes it’s possible with Agastya (Remote Mobile Access) Android App, which allows you to access your mobile remotely. You can access & retrieve a lot of data from your mobile phone like Messages, Contact details, Call logs, IMEI number from your mobile phone if you lost your phone or forgotten your phone at your home. The app works on SMS commands, all you have to send a SMS to you mobile to access it remotely. The app is easy to use just install the app on your mobile phone and configure the setting to use it. Below is the step by step guide to use the Android Mobile Remotely With SMS. 1. Download and Install Agastya (Remote Mobile Access) Android App from Google Play store on your Android Phone or Tablet. 2. Run the app on your Android device, at first it will ask you to enter the email ID and Security PIN number, which help you to access your Android Mobile or tablet remotely. 3. Now you are ready to access your Mobile Phone remotely. So whenever your Forget your mobile phone on your home. Send a Sms to your mobile number with the Security PIN to access your Android Device. Example Your Security pin is 1234 and Mobile number 9769688838. Then sms 1234 to 9769688838. 4. After this you will get the list of commands valid only for 1 hour. 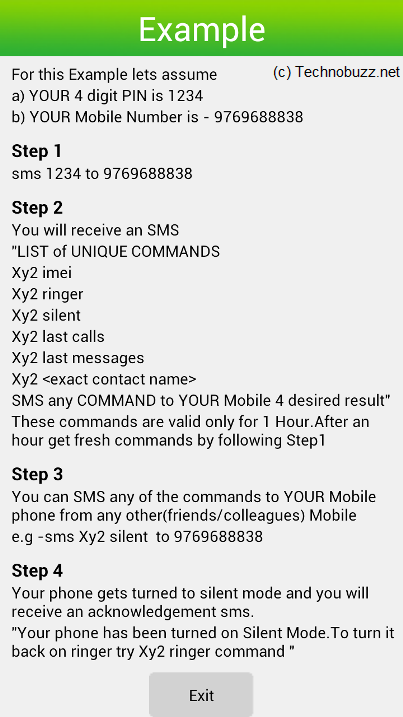 SMS any of these commands to your mobile number to get the data. See the screenshot below for the list of commands. This one is one of the best app in the Google play store to access your android device remotely, The application works on only Android phone 2.2 and above.